Anniversary celebrations take place on a grand scale around a couple completing years of togetherness. It is indeed a special moment for the couple and people who are participating in the event. We at Elkhart Catering have trained and qualified staff to help you take anniversary celebrations to a different level. As a full service catering company, we can arrange for gatherings and parties both outdoors and indoors. Staff personnel can serve in more ways than one including entertainment, flowers and room decorations, drinking facilities, waiter services, etc. Anniversary parties are attended by guests of various age groups ranging from six to sixty. Different attendees tend to have varied choices in food and drinks. We have staff to make sure that each and everything is fully taken care of. They strive to deliver the ordered items timely in the freshest possible condition. Our chefs are experimental with menu offerings keeping it updated regularly. However, they can also come up with cuisines as per customized requirements. Cooking for a large number of guests can be a challenging task. The chefs at Elkhart Catering are used to facing challenges and emerging from tricky situations from time to time. No gathering is too big or too small for us and our experienced staff can attend to guest needs. Apart from serving food, drinks, dessert and beverages, they also take care of cleanliness and eco-friendly techniques. Our staff can arrive before the scheduled time to make sure the event turns out smooth and successful. We have specialized menus for anniversary but willing to come up with customized menus as per requirements. We also specialize in themed anniversary parties offering an unparalleled dining experience. Be it vintage, 1920s or modern themes, our catering services will be top notch irrespective of location and guest numbers. We have well equipped kitchen at our premises designed by experts maintaining highest possible professional standards. All the suppliers and vendors go through a quality testing process to ensure their produce is up to the mark. Freshness, consumption suitability and taste are given special emphasis. Environment friendly measures are very important to ensure food safety. We adhere to standard practices required to guarantee high quality products. We use recyclable or biodegradable packaging and our staff can collect the leftovers to recycle them later. Our professionals always look to give their best and walk the extra mile for clients. We explore different concepts and ideas on consistent basis and often perceived as trendsetters. We always focus on understanding clientele and their needs to deliver unique dining experiences. Our highly trained professionals leave no stone unturned to make the event unforgettable for years to come. All those moments of fun and celebration will be etched in the minds for many years. We recognize the varying demands for catering and strive to deliver nothing less than best for our clients. 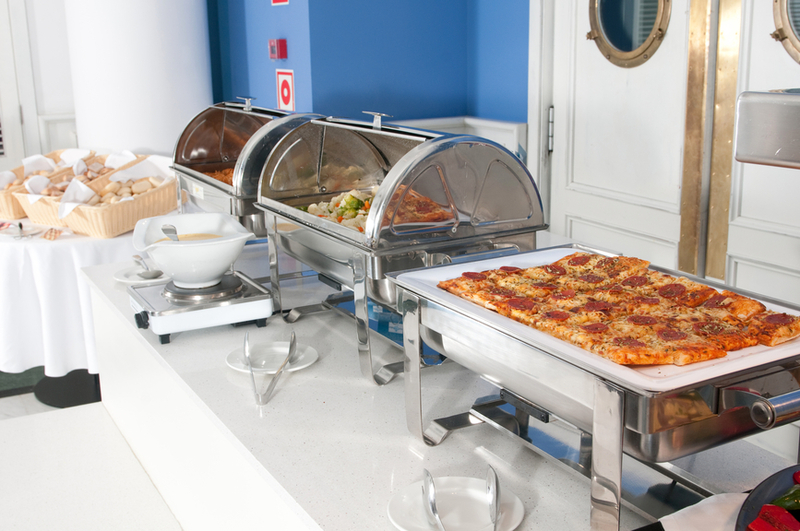 As a professional catering firm, we strive to deliver beyond expectations. We are only an email or phone call away for you to take an informed decision. Our staff will also answer your booking and other enquiries.